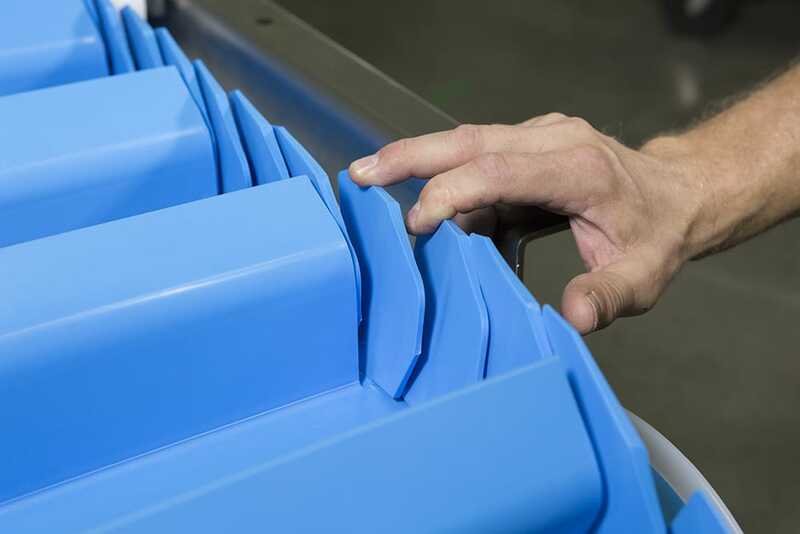 Belt design features staggered sidewalls to increase pocket capacity and reduce product loss. 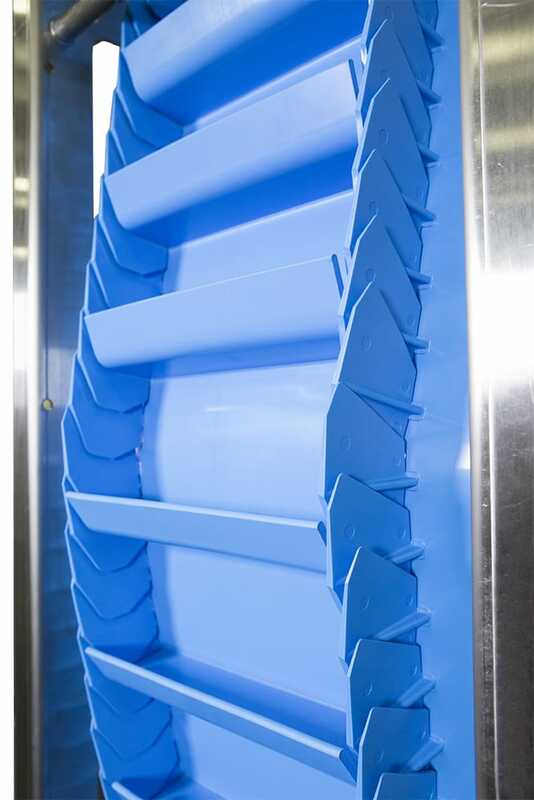 The clean through side wall design improves clean-ability, reduces cleaning time and water usage. Der Antriebs-Getriebemotor befindet sich auf der Hauptsäule außerhalb des Lebensmittelabwurfbereichs. The open frame design allows for quick belt changes in as little as 15 minutes! Tool-less removal of idlers and belt supports. 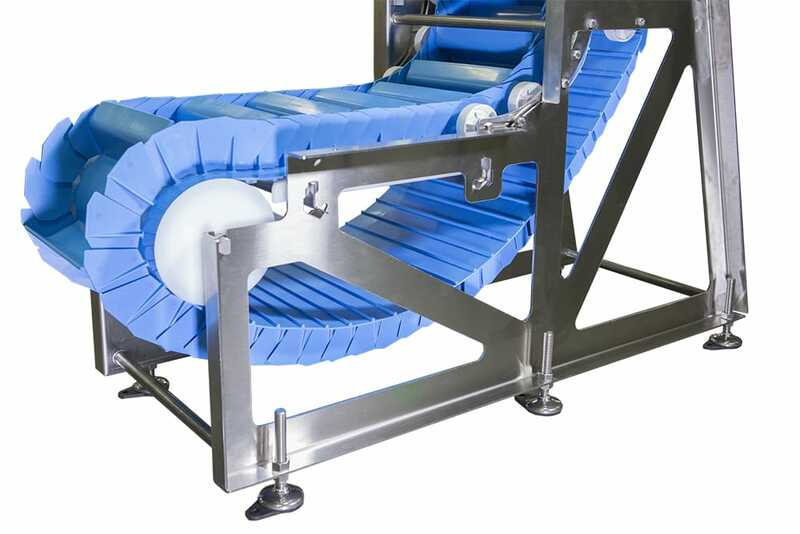 Our sanitary incline conveyor technology will save your facility both time and money. 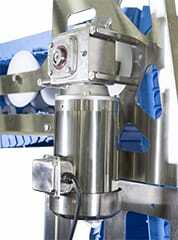 Here at Dorner, we have only FDA approved belting and plastic components in our AquaPruf series, including the VBT. 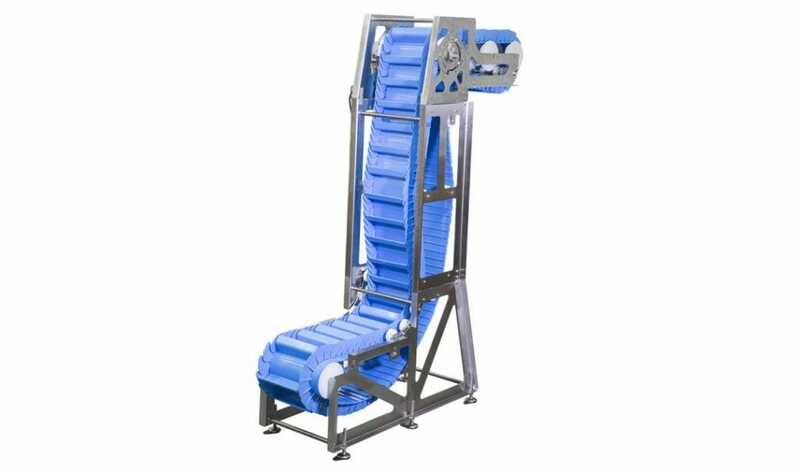 This vertical belt technology is used for elevating bulk products like vegetables and fruits, popcorn, grains and nuts, pet food, pharmaceuticals, and small packages. 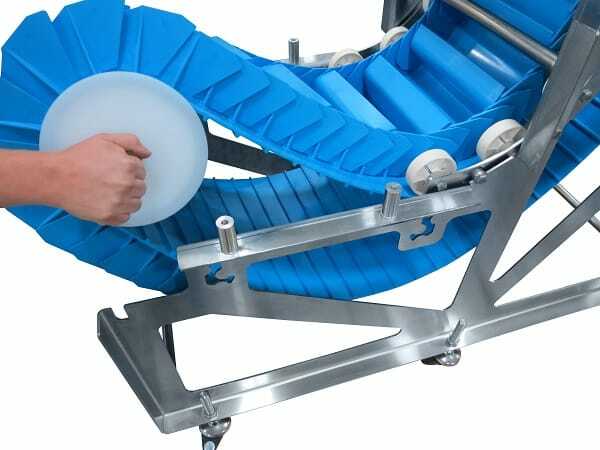 As a sanitary, vertical conveyor belt system, it’s ideal for food, pharmaceutical, chemical industries, and all sanitary environments as it carries out a wide range of applications. The belt technology is built for steep and vertical inclines, as well as bulk material handling, food process, and as a washdown conveyor, is easy to clean.